"I refused to let Detroit go bankrupt!" Detroit's population has plunged 63% since 1950 and it's down 26% since 2000. The unemployment rate hit a high of 27.8% in July 2009. As of April 2013, the unemployment rate was at 16%. Even though the population fell 63% since 1950, the municipal workforce fell by just 40%, adding to the strain on public finances. At five times higher than the national average, Detroit has the highest violent crime rate of any large U.S. city. 40% of the city's street lights don't work. 78,000 structures and 66,000 lots are abandoned. Arson accounts for 1,000 of 12,0000 fires per year and 60% of those arson fires are in dilapidated or empty buildings. 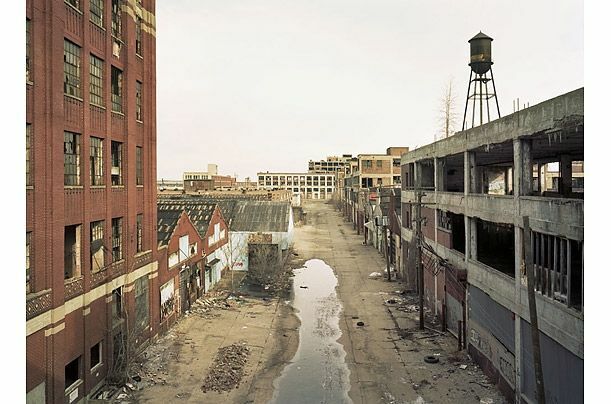 Detroit has had Democrat party Mayors since 1962.